My name is Dora and I wanted to tell you a little bit about myself, my new company and how I started this business. Calcedonia is my 87 year old mom's "real" name. I say "real" because when she was in school- everyone thought her name was too long and it was shortened to Dora. She kept her shortened name and when I was born, she named me after her. My Mom loves to read and so does my husband. We have loads of books. We also ran a bookstore (brick and mortar) which went out of business several years ago. So we decided to open up a book and gift store on Bonanza. Also, you could check out all my handmade items. My mom is my partner and crochets and knits up a storm-- she tucks in all of threads, tells me what should be fixed and what should be ripped out and redone. She is much faster than me and seems to get even faster the older she gets. We both decided that we'd name the company after ourselves. I had a unusual journey towards becoming an Bonanza and Etsy entrepreneur. Back when my son was young, I used to spend so much time at the craft store-- one day they offered me a job. I worked there for several years. Later, I branched out and started to sell handmade crafts and supplies at local fairs, churches and boutiques. Whatever it took-- I even worked as a concessionaire at the Fort Hamilton Army Base. Later, I became manager of a Christian book and gift store and opened an online book store on half.com. I got involved in selling online when my mom and I made and donated blankets, preemie hats and booties to BABIES in NEED, a non-profit organization out in Long Island. We made scarves out of left over yarn and we donated them to a organization to children in need at Christmas time. My son asked me one day â€œWhy donâ€™t you sell these on online?â€ And while I didn't have the knowledge of Bonanza or other selling venues at the time, I quickly learned what an amazing marketplace it is. So we worked non-stop and finally launch our online store. I hope you like and enjoy our booth. If you have any questions. We love to hear from you! Calcedonia doesn't have any items in their booth! A 1st class seller of integrity and fairness. I highly recommend buying from this seller. I am a returning customer. My items ordered from her are always shipped fast. I highly recommend this seller to others for a happy transaction. She makes beautiful crochet items!!! Wether buying from or selling to Calcedonia’s is a great place to be. Wonderful communication and service. I’ll be back. Wonderful customer service, fast shipping and such a talented lady! A fantastic booth to purchase a gift for any person. 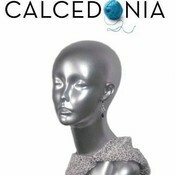 You just won’t go wrong purchasing a gift or something for yourself from Calcedonia! Highly recommended. Very honest and trustworthy seller. Dora is an absolute treasure, and a delightful human being! She is compassionate, generous, and an incredible asset to the Bonanza community! You can’t go wrong purchasing from her! This ladies work is amazing. She is a fun and friendly person. If you ever get the chance to experience some of her hand crafted items, you will truly want to come back for more. I am glad that we met!! Very honest and trustworthy seller. Great friend and lots of fun Can’t go wrong here – this is what Bonanza is all about! In this seller I found a very talented craftswoman. The crochet work is beautiful. She completes her sale with professional touches. She packages very nicely with store-quality tags tied in place with a single bow thread. She’s good. I’m glad I found her. I recently got acquainted with Dora, and she is one of the sweetest ladies on Bonanza. Dora always has something nice to say. She is a very positive individual along with being extremely talented. Her knitted items are of high quality. Definitely an asset to the Bonanza community. Calcedonia is such a wonderful person and has such great talent…Dealing with her is always pleasant and memorable..She has such wonderful talents and repore and It’s a comfort knowing such booth owners are available and ready to help on Bonanza..Thanks Cal! I have Dealt with Dora on a Personal level and I assure you she is truly an asset to our Wonderful Community and I am Proud to call her My Friend.Please get to know her and she will truly make you smile.